Bath time at our house is definitely an adventure. We have a huge tub which makes things a little easier, but does not prevent chaos from breaking loose. Recently, I found this scene in our bathroom. 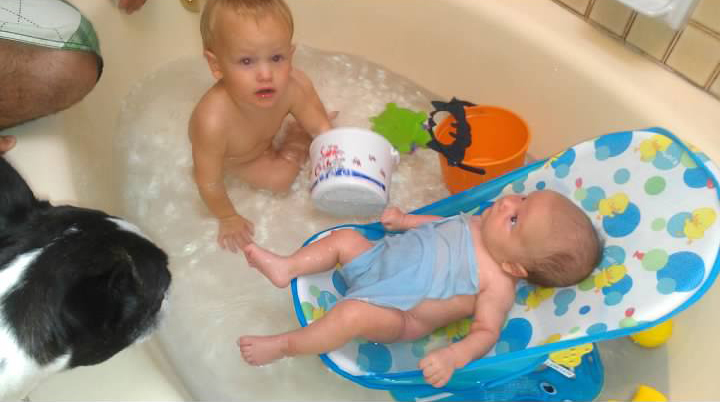 Shortly after, Parker used the bucket to water board Cooper.